A gorgeous neckpiece from the eShe jewellery collection by Newbridge. 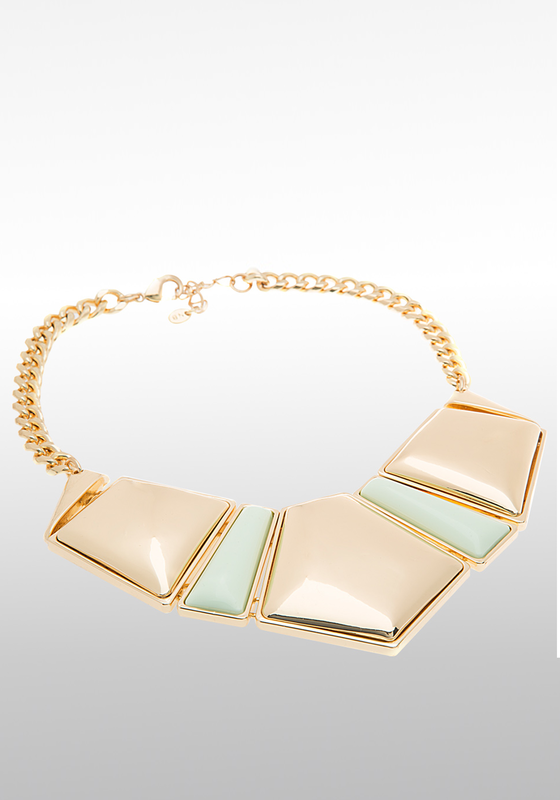 This necklace has five sections, three gold plated and two with green stones. A fantastic additional to your jewellery collection that you will gets lots of wear from.